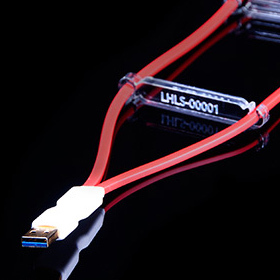 Doug said: Light Harmonic’s LightSpeed is a seriously good USB cable at a seriously high price. I can’t unequivocally say that it’s the best USB cable money can buy for every audiophile, because its sound is relentlessly neutral. Many audiophiles don’t want absolute neutrality -- it reveals too many recordings as being not very good -- and for them, the LightSpeed cable won’t be the best choice. But for those looking for the truth in music recordings, regardless of what that truth might be, I’m not sure it’s possible to do better than the LightSpeed USB. The gist: Unique but expensive for the cable-minded among you.